The premise: Dr. Frankenstein really existed and, in the late 1700s, he really did discover how to re-animate the dead. His revolutionary techniques have become common medical knowledge. The question: How did this impact history? 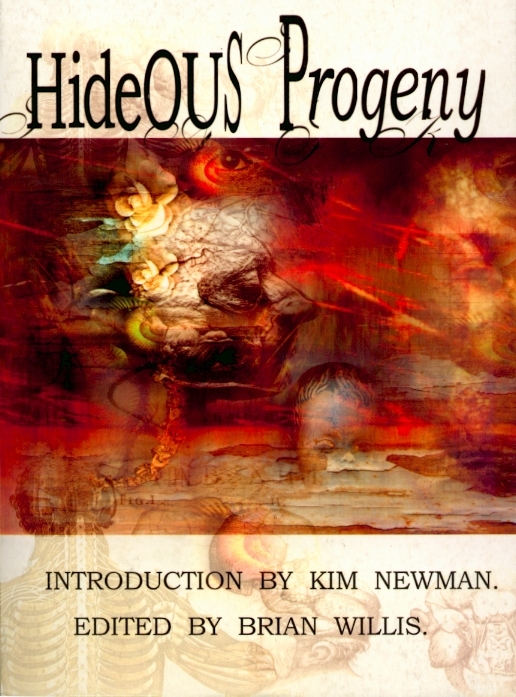 The answer (actually, 18 different ones): Hideous Progeny, an anthology of original horror fiction edited by Brian Willis and published in 1999 by Razorblade Press (Cardiff). The cover illustration is by Chris Nurse. There’s a wide variety of tones here, from dark humor and political allegory, to gory horror tales. Quality varies, as in any collection, but the whole makes for a strong book deserving of its British Fantasy Award for Best Anthology, in 2001. My favorite story, Mad Jack, by Ceri Jordan, deals with the hunt for a sort of reverse Ripper, a rogue resurrectionist who is going around London re-animating dead prostitutes. You can still find the book on Amazon.co.uk (as I did) at cover price, or less.